A little while back, I wrote a post about how new startups may be better off focusing less on buzz and marketing and more on product quality and building organic support. After all, we’ve seen so many super hyped, promising new businesses fall flat lately, especially in the tech world. To illustrate my points, I used the story of how my company, HootSuite, went from 0 to 5 million users with barely any advertising budget. Give it away for free: Freemium users first; monetization later. In 2008, we offered HootSuite to the world as a freemium product. The overwhelming majority of users—and we very quickly had hundreds of thousands of them—paid absolutely nothing for the service. Companies who wanted beefed up functionality and extra support paid a monthly fee, from as little as $10 to $1,000 and up. And, it worked. Having to satisfy all those free users and grow our user base kept us honest. Having to cater to free users forces your product to be accessible, intuitive and—above all—useful. Free users have no vested stake in you, no long-term contract. If you don’t deliver, they’ll move elsewhere. The Internet has no shortage of fantastic free apps and cloud-based services vying for users’ eyeballs. Meanwhile, those same loyal users provided a steady stream of leads for our sales team. Forget about cold-calling. Free users were premium, paid users in waiting. In many cases, a handful of employees at a particular company would begin using our service for free and love it. Ultimately, the boss would take notice and upgrade to the premium version. Suddenly we had a new client. In the end, only a tiny percentage of free users will actually convert, but the point is that a steady, predictable percentage do. To this day, over half of our paying customers—including some of HootSuite’s biggest enterprise clients, with six-figure contracts—were once non-paying, free users. Freemium isn’t at all a new or novel concept though. Companies like Skype, Spotify, Dropbox and Evernote are all built on freemium. Many of these companies tend to be cloud-based, SaaS models, so it costs them very little—practically nothing, at a certain point—to bring on free users. The basic premise is simple, yet deceptively powerful: Put your energies into developing an irresistible product and loyal user base. Worry about making money later. I can’t imagine doing business any other way. 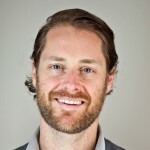 Ryan is Hootsuite's CEO. He is a regular contributor to outlets such as Fortune, The Wall Street Journal, Fast Company, and LinkedIn’s Influencer. He writes about social media, technology trends, and entrepreneurialism.